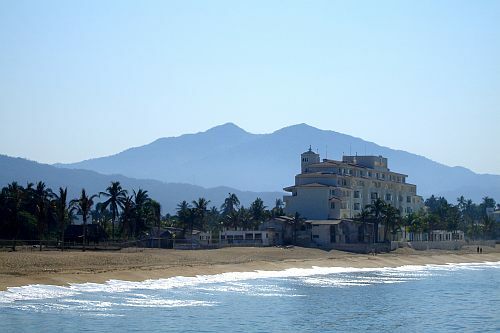 WestJet has dropped the price of their April flights from Calgary to Manzanillo, Mexico down to $282 CAD roundtrip including taxes. It's also normally one of the more expensive places in Mexico to fly to. This is less than half the usual price! A quick check on Airbnb shows that there appears to be a fair number of well reviewed properties in Manzanillo (with pools) for under $80 CAD/night. Update 1/31 @ 8:30 AM MST - It looks like this has nearly sold out. It's still working if you search for 1 passenger, but not for 2 or more. See update below. Update 2/13 @ 7:00 AM MST - Non-stop flights from Calgary to Manzanillo are available again for $285 CAD roundtrip, and it's working for multiple passengers. There are also new dates working in April. Mar 24, 28, 29, 31 to Apr 9, 16 -- new! Apr 2, 4, 5, 6 to Apr 9, 16, 23 -- new! Apr 7, 9, 11, 12 to Apr 16, 23 -- new!